The Coordinated Access for Youth and Young Adults subgroup, a collaborative committee of the Reaching Home Campaign, was tasked with crafting an effective response system to meet the needs of youth and young adults experiencing homelessness. 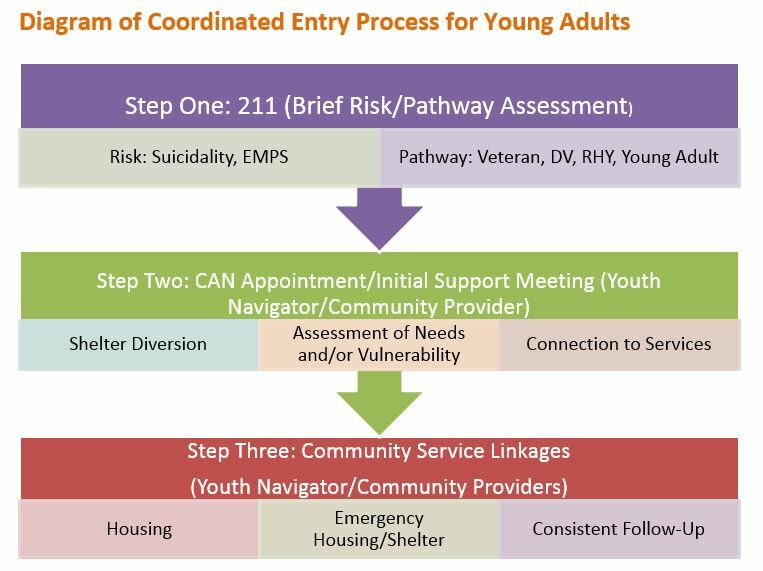 This subgroup created the “Young Adult Coordinated Entry Toolkit” to support coordinated entry staff and youth providers to quickly connect young adults experiencing a housing crisis or homelessness with community services and housing solutions. In addition to using this guide, providers should administer this brief online client survey after their Coordinated Access Network appointment.